I have been exploring various dinner in a box options. 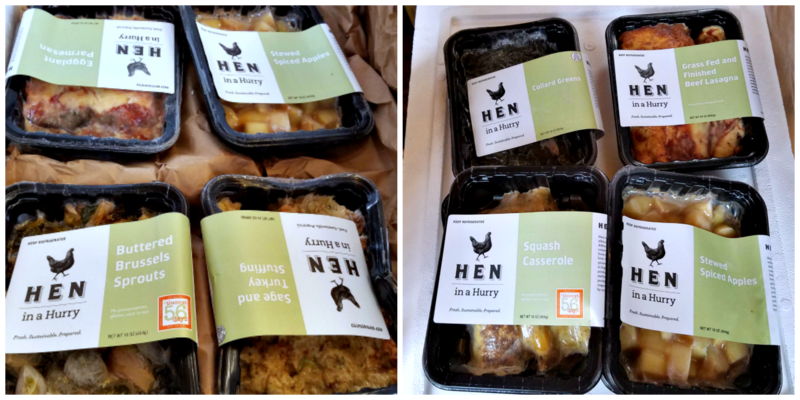 This post on the heat and eat meal subscription service from Hen in a Hurry is brought to you by the US Family Guide and Hen in a Hurry. I was provided with product at no charge for my honest review. Who is Hen in a Hurry? 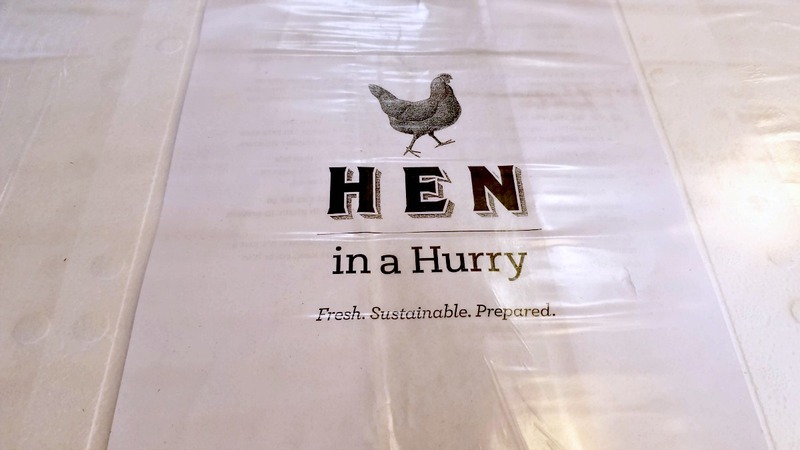 Hen in a Hurry is a chef prepared, heat and eat dinner in a box subscription service. It's different from most of the companies you know in that the food that you receive is already cooked! You have the option of heating it up in the microwave or in the oven - whichever you prefer. But first, a little bit on how the company started. Hen in a Hurry was hatched in the small kitchen of the popular Greensboro, North Carolina eatery, Iron Hen Cafe. Spurred by a flock of requests from loyal patrons this idea came to fruition, delivering sustainable, ethically-sourced, prepared meals to you - at work or home. All plans are no commitment and can be paused or canceled at any time. Shipping is free for orders over $100 and you need to enter a code at checkout to get the free shipping. It is listed on the site but be aware of this so that you can take advantage of it. The meal choices are diverse and you can filter out for meatless, Whole 30, keto and other dietary choices. How is the Food from Hen in a Hurry? I placed my order and awaited my meals. I received a ship notice on a Monday with delivery to be the following Friday. The package arrived and my meals were still frozen solid. Hen in a Hurry packages in recyclable containers and provides a sheet with suggestions for ways to re-use the styrofoam cooler. Bourboned Braised Pork Belly with Grits - I did not receive this. 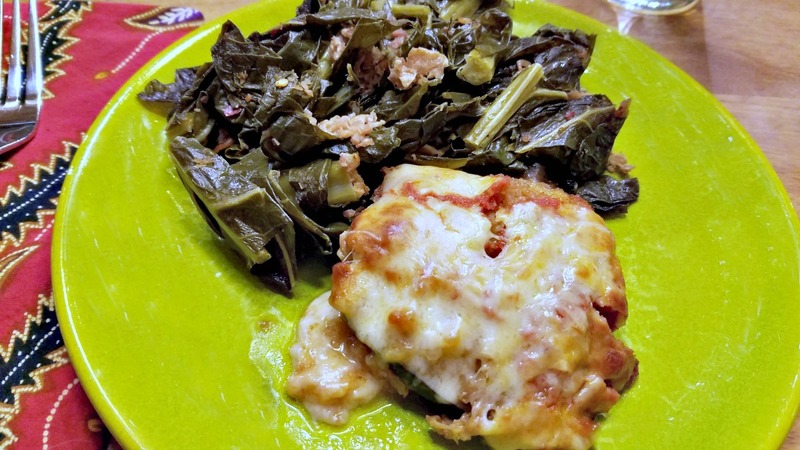 Instead I was sent Lasagna and Collard Greens which was a bit of a disappointment as I do not like collard greens. Fortunately the hubby does. As of this writing we have tried two of the four meals. I am saving the other two meals for when the hubby goes out of town. I don't tend to cook for myself when he leaves and having these meals in the house will encourage me to consume more than eggs on toast which is what I usually eat. I'll update you on how the other two meals were on my Instagram when I eat them. I chose toreheat the meals in the oven as opposed to the microwave. I'm old - I don't like the microwave. The packages give instructions for both forms of reheating. 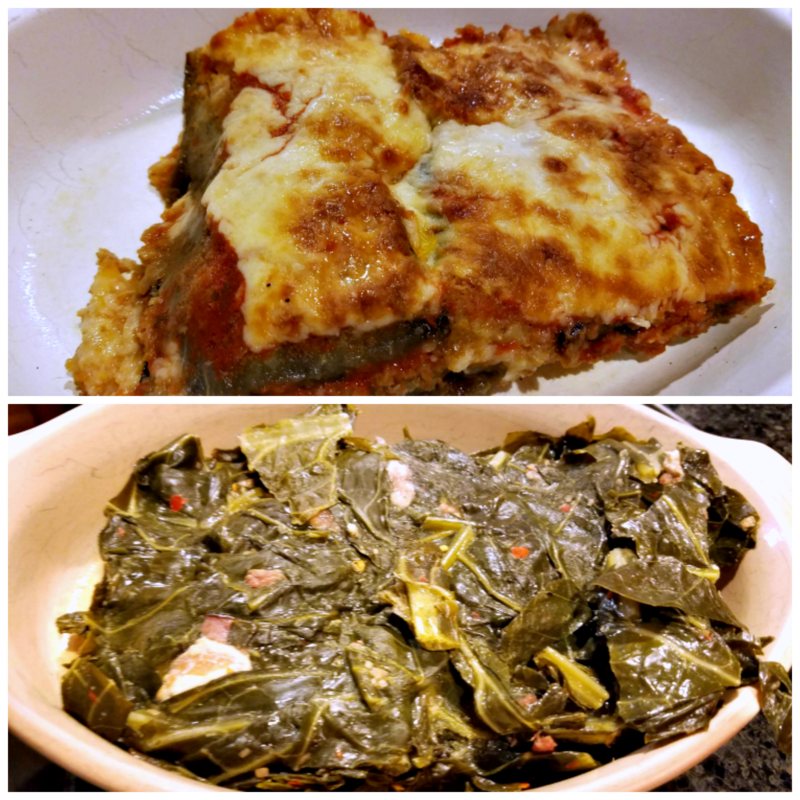 I also served the collards with the eggplant - sue me. I can eat what I want, when I want. So there! The eggplant parmesan was very tasty. The eggplant was perfectly cooked - it was nice and creamy as eggplant should be. There was plenty of cheese and just enough sauce. Hubby enjoyed the collards. They are flavored with vinegar, bacon and hot pepper flakes. I very much looked forward to having the eggplant again the next night. The lasagna we good. The noodles were still firm, there was a healthy layer of ricotta cheese and lots of mozzarella. The grass fed beef was not a present but that which was there was very flavorful. The squash casserole was a revelation. I have never heard of this creamy concoction and I am going to figure out how to recreate it. I will admit that it looks like something my cat haucked up but it is about the best tasting thing I have eaten in a very long time. We ate the entirety of the four servings in one night. It is THAT good. It tastes like a combination of that artichoke dip everyone loves with zucchini. Seriously good. Hen in a Hurry is obviously very different from the other Dinner in a Box services I have tried in that everything is already prepared. I can see how this would be AWESOME for a busy mom or for someone who does not like to cook. I have to admit that just taking the food out of the container, popping it into a baking tray and calling that it was rather nice. There are nights when I feel like death and having meals that taste good and come together this easily would be a dream. For moms who are running hither and yon I can see how this would be very helpful. My only concern would be the serving sizes. 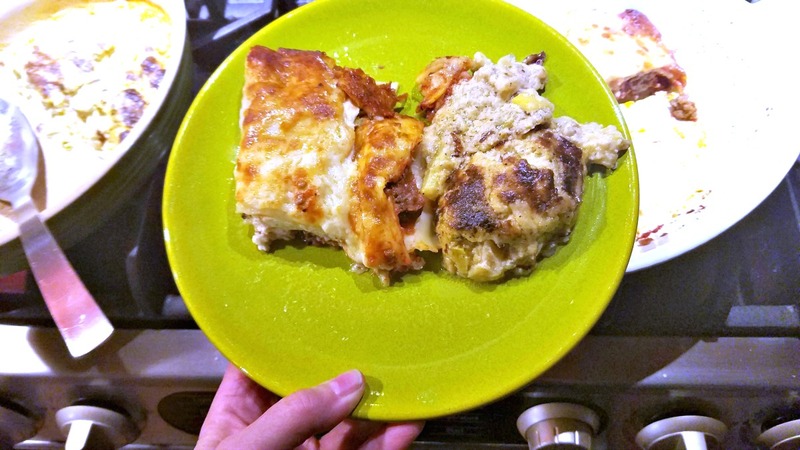 The eggplant lasagna provided a 6oz serving size plus the accompanying squash casserole (an odd pairing if you ask me, but whatever) this was fine for the two of us but we are old. I just wonder if this would be sufficiently filling for teenagers. Mom could round out the meal with bread and a salad. I don't know - I don't have kids so I don't know how they eat. Maybe I'm wrong. It is very tasty. Both meals tasted like they had been cooked fresh. And that squash casserole has been haunting my dreams. 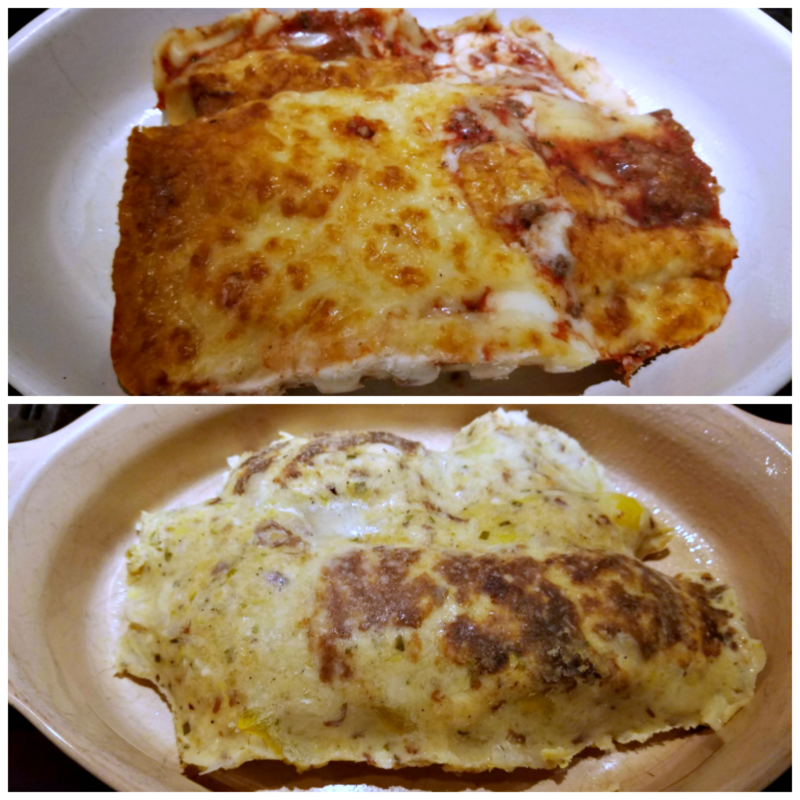 I am looking forward to trying the other two meals as they are very different from these two Italian style dinners.